Has your child been listless lately? Do they have a low appetite and are they complaining of difficulty while swallowing? These could be the early indicators of a Throat infection in your child. If you suspect a throat infection, feel the sides of their neck below their ears. Any swollen glands there indicate a throat infection. You could also have your child open their mouth wide, stick out his/her tongue and shine a light down their throat, much in the same way as a doctor would. Any redness in the throat or red and white patches in the throat indicate a throat infection. Almost all types of throat infections are contagious and caused by contact with a person already suffering from a throat infection. They spread via saliva through a cough or by contact with the infected person’s hands or belongings. 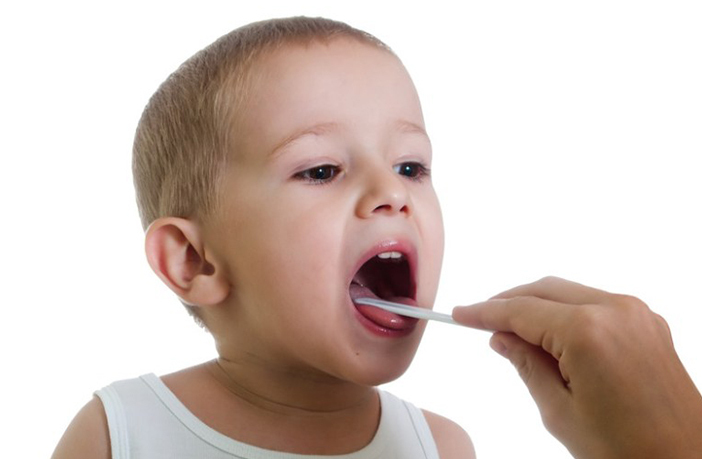 A viral throat infection is the most common form of throat infection in babies, toddlers and young school going kids. It is caused by the common cold virus. Viral throat infection, in most cases, is accompanied by a cold, runny nose and a slight fever. A fever is nothing but a sign of the human body trying to fight against the infection, so a light fever below 101 degrees Fahrenheit is not necessarily a cause of worry. The child could have a cough accompanied by pain while coughing. It is more common in children below 3 years of age. No specific medication may be required for this infection and it should heal within 7-10 days. However, the doctor may prescribe pain reliever if the child has a painful throat and medication to treat the cough and cold. Bacterial throat infection is also called a strep throat which is caused by the streptococcus bacteria. It is a more serious throat infection and the child may take longer to recover from this. It is a more serious throat infection accompanied by higher fever, over 101 degrees Fahrenheit. Swollen neck glands – the glands below the child’s ears near his/her throat will be enlarged and painful to touch. Strep throat generally is only characterized by a sore throat and fever and does not have any other symptoms like a cold, a cough or runny nose. It is more common in children above 3 years of age. Your doctor will assess the seriousness of the infection. In case of a more serious infection, the doctor may perform a throat swab to determine the nature of infection. Your doctor will likely prescribe antibiotics for a strep throat. Remember, do not self-medicate your child with antibiotics. The dosage differs with the child’s age and weight. Complete the course of medication even if the child recovers before the complete course. Stopping the medication early, mid-way may cause the infection to recur. Timely and complete treatment of a bacterial throat infection (strep throat) is important since an untreated strep throat could cause further complications like abscesses in the throat or rheumatic fever. This might also interest you: Is Homeopathy safe for Babies? What can you do to help your child recover faster? Get the child to drink plenty of water and warm fluids like soup. Encourage the child to take plenty of rest till they are fully recovered. It is recommended to not send the unwell child to school as it could cause other children who come in contact with him/her to get infected. Gargle with warm saline water. Mix about 1/2 tsp of salt with 250 ml of warm water and help the child gargle with this several times a day. Give the child soothing comfort food like khichdi, porridge, mashed potatoes, warm broth or soup, eggs. Avoid spicy food till the child recovers. Some herbal teas with a dash of lemon may help. It is commonly believed that milk aids in the production of mucous but there is no research that confirms this. Therefore, if your child is comfortable with drinking warm milk while they have a throat infection, you could continue to give them that. How to prevent the spread or recurrence of a throat infection? Do not send a sick child to school for as long as recommended by the doctor. Since throat infections are contagious and spread through droplets of saliva, it could make other kids at school sick. Do not share drinking glasses, straws or other utensils. Wash the child’s and the family members hands frequently to prevent the infection from spreading. In most cases, your child will be able to recover from a bacterial or viral throat infection in a couple of days with little medication and care. However, in rare cases, an untreated Bacterial infection (strep throat) can lead to the more serious rheumatic fever. 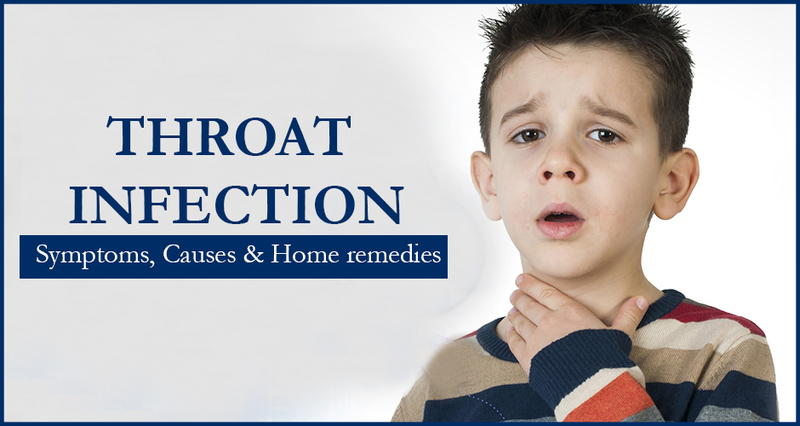 Therefore, do not let your child’s throat infection go untreated and seek appropriate medical care at the right time. Read more: Can my child get his missed vaccination at later date?